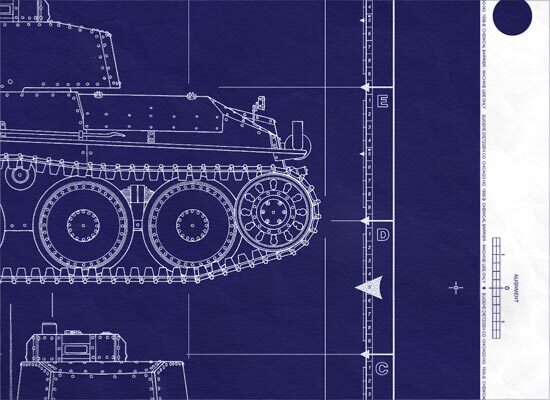 The company's most notable products in this era were a light tank of the company's own design: the Panzer 38(t) and the Jagdpanzer 38(t) tank destroyer, which was built on the same chassis. During the German occupation of Czechoslovakia, the company was renamed BMM (Bohmisch-Mahrische Maschinenfabrik AG) and manufactured arms for the Wehrmacht. PzKpfw 38(t)s were built under German supervision and they saw extensive service in Poland, Norway, France, and Russia. Ordered into production in 1938, the LT-38 (Light Tank) was destined to become one of the most widely used Czechoslovak tanks, although not in Czechoslovak hands. 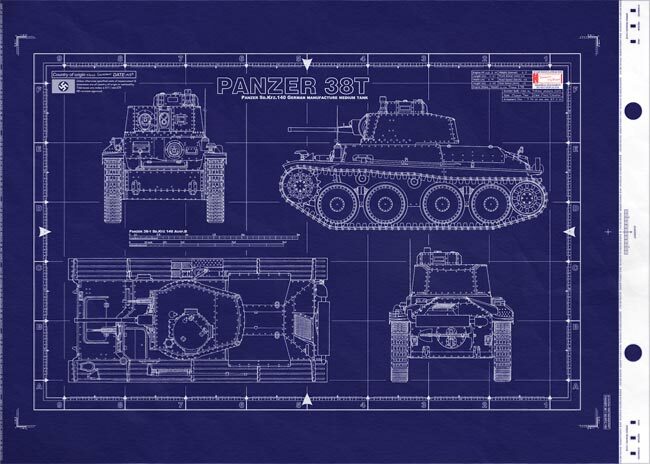 German Panzer 38(t) Ausf.B - This is a real blueprint made directly from vellum masters. 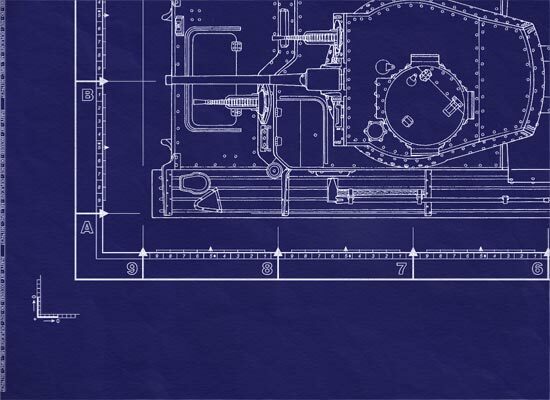 Delivered to you on a full size master sheet measuring 42"x 30". The Panzer 38 (t) was, in fact, the Czech LT Vz 38 which was produced for the Wehrmacht after the annexation of the Czechoslovakian provinces of Bohemia and Moravia in March 1939. Continued from above… anywhere in the world. 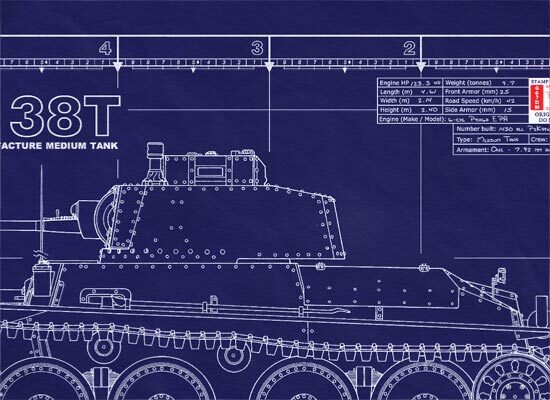 We will shortly begin to update the military history of this tank.